Apartment rent prices have increased by almost 7 percent over the last four years, according to the latest analysis by Open Finance and Home Broker. New, freshly finished apartments are mostly the reason for such a raise. However, there is no lack of demand, and rental apartments are most often occupied by young Poles and citizens of Ukraine who come to the Vistula country to work. As experts point out, even one in three flats might be bought with the intention of earning a rental income. This also applies to new flats sold by developers. It means that in the past 12 months the supply of such premises could have grown by around 10-15 thousand (in the 6 largest cities of Poland). Such new apartments in modern buildings are freshly finished and equipped. It is hardly surprising that their owners demand higher rents. The problem is that there are more and more of these places, so they artificially raise average rents. How big is the scale of the phenomenon? From simple data, made available by popular advertising portals, it can be concluded that prices have increased by up to several percent per year. According to experts, these figures, however, are overstated. How have the prices of rental housing actually changed? The Index of Duplicated Rental Prices shows that in January 2017 rents were only 6.8 percent higher than four years earlier. Interestingly, the bulk of this increase is in the last 12 months when prices rose 4.4 percent. Today, for a two-room (or 1 bedroom) apartment of ​​31 to 50 square metres in Warsaw one has to pay less than 2.2 thousand zloty a month. In Kraków, Poznań, Wrocław and Tri-City it is much cheaper, similar premises cost monthly about 1.3 – 1.5 thousand zł. 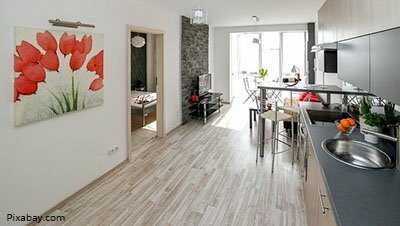 In Łódź a budget of 1.1 – 1.2 thousand is enough to rent an “M2”. Experts point out that it is a great abuse to claim that rents increased by a dozen per cent during the year. This unnecessarily awakens the hopes of owners and fears of tenants. In fact, the movements on the market are much more subdued – they emphasise. In their opinion, it is also difficult to expect a sharp rise in rental prices as there are many new properties bought by investors. Those are more and more tempting as this solution is considered to be relatively safe and lucrative. At present, you can count on 4-5 percent of net profit per year. 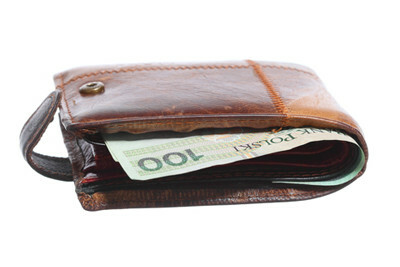 It’s 3 to 4 times more than what an average bank deposit offers. 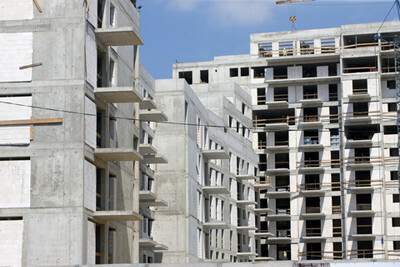 The optimism of apartment owners should, however, be cooled down by government’s ideas for the Apartment Plus programme. One of its pillars is a system of cheap rental housing with access to property. On the rental market, however, not only supply but also demand grows. Among others, high bank requirements for one’s own contribution by taking a mortgage contribute to this. Nowadays, it is worth to have at least 20 percent of the price of an apartment in order to think of a mortgage loan. By agreeing to additional costs, you can find banks accepting 10% contribution. Even then, however, the necessary contribution proves to be a barrier too hard to overcome for a large part of young adult Poles. These people naturally come to the rental market. Demand for rent is also reported by the increasing number of Ukrainian citizens arriving in Poland.